The following interview of Ma Yoga Vivek (Prem Nirvano) conducted by Ma Yoga Sudha was first published in the January 1979 edition of the Sannyas Magazine. Vivek breathes Osho, so you will find him very present here. 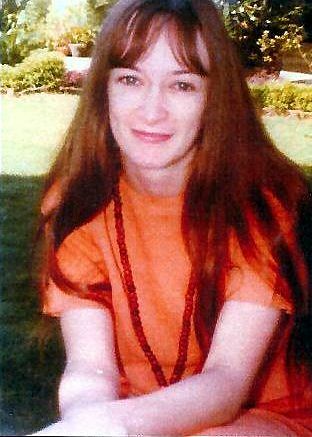 She has been a sannyasin for seven years now, and her ‘work’ in the ashram is to take care of Osho – cooking, medicines, messages, his library, etcetera. 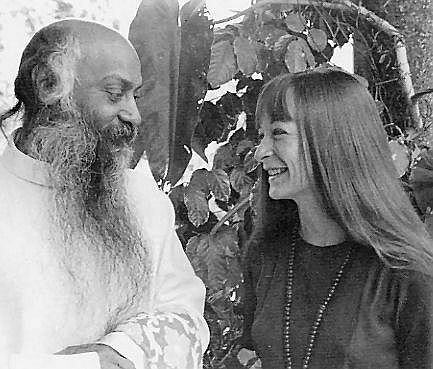 She is one of two people who has direct access to Osho at any time; the other is Ma Yoga Laxmi. Vivek: Mmm, how I came… Well, it was in 1971. Actually it all started in 1970 when I was living in Europe, in Frankfurt. One day an Indian walked into our house, and none of us knew him, he wasn’t a friend of anybody; he just walked in. We all thought that he was a friend of somebody else, and they thought that he was a friend of so and so, and so on. He just stayed the night and the following morning when we all got together for breakfast, we all said to each other, “Well, whooz he?” (Vivek is laughing at the joke) and none of us knew who he was. But he was so nice and he just fitted into the house so well, we all decided that he could stay. We asked him how he came and he said he was walking and he passed the house and just felt to come in, so he came in. Vivek: Actually, by then he wasn’t so strange. He was quite nice. Then when the time came for me to go, still people didn’t believe me. I got all my bags and I packed them up and I sold the apartment, threw in my job, and still nobody really believed that I was going to go. And then the day came, and they drove us to the airport, and…I didn’t know why, it was just a feeling that I was going to go with him. And I didn’t know what I was going to do there. I thought at the most I would visit the Himalayas, go to the mountains, but other than that I just had no idea. And then when I got to Bombay…(thoughtful)…when I got to Bombay I still didn’t know. I felt like turning back. And the first thing I saw in Bombay was a rat! This huge rat that sat right at our feet! It was really amazing; that was the first rat I’d ever seen. Sudha: The first rat you’d ever seen! God! Vivek: Yes! Ever, ever seen! Yes. Then we got in a rickshaw and we drove through Santa Cruz to Bombay, and you know how it smells in Santa Cruz-ugh! And I kept thinking, “What am I doing here?” I didn’t know what I was doing! I didn’t know why I had come, and it certainly wasn’t for Ravi-that’s the name of the Indian fellow-and it wasn’t to come to India at all. I was in a daze the whole trip, from the time I had decided till right up until, in fact, I met Osho. I was in a daze, a complete daze, walking around Bombay in a complete daze. I was staying in Ravi’s house with his parents, and everybody was out one day and suddenly there was a knock at the door, and there stood an Australian, a Westerner! So I said, “Come in, come in!” (laughs in renewed relief) I felt an instant liking for him. And that night he said, “Let’s go to a lecture of Acharya Rajneesh.” I said no, I don’t want to go to any lecture. He said, “Just come.” It was a Hindi lecture, thousands and thousands of Indians. I said, “No, I don’t want to go,” but I went anyway. I don’t know why, I just went. Sudha: Oh, I can’t bear it! Michael, the Australian, nudged me; he obviously wanted to leave, he had had enough. And I said, “NO! No, I can’t go! I have to stay.” And so we stayed until the end of the lecture. And then I was in more of a daze, because this was totally foreign to me…this sort of…being. I don’t know-it was just totally foreign. I was completely taken. I didn’t know what was happening or who this man was. And then we went home. The next night he said, “There’s a meditation camp at Mount Abu. Do you want to come?” And I said at first, “Oh no! I can’t meditate. They will just throw me out.” And he said, “It’s not like that.” He said, “Anyone can come, anyone can come.” And so we went there, and I saw these people meditating, doing the Dynamic. Vivek: I saw these people doing the Dynamic and I hid in the bushes. For two days I hid in the bushes! I didn’t know what was happening to these people-they were doing all this deep breathing and catharting and the hoo and jumping up and down and laughing and crying and screaming and going naked! I didn’t know quite what it was all about. Vivek: I was sort of scared and at the same time excited. So I went to the Circuit House where Osho was staying, and one Indian woman who I don’t know told me to wait for a few minutes. I went to the door and I stood at the door, and Osho was sitting on a chair cross-legged with just a lunghi on, and he was talking to an Indian. And as he was talking to the Indian he looked at me while I was standing at the door, and my knees buckled (giggling), they just buckled, and an Indian standing behind me held me up. I think I must have gone limp. Then I went in, and Osho said, “Are you having trouble with the meditations?” And I looked at him…and I looked out the window at the sky. I didn’t answer his question. I couldn’t. I wanted to but I couldn’t. I just looked at the sky…for a few minutes. I don’t know what happened but I think I might have passed out for a few minutes because I can’t remember what happened in those few minutes. I must have come back from… I don’t know…something. He told me how to do the meditations. He told me something else which I don’t remember. And that was that. Another day, in the evening, when we were doing the Hoo (Tratak), Osho was up on the stage, and something happened that night. I wasn’t a sannyasin yet. After the meditation, when Osho was going into the car outside, he called me over, because I was just standing on the outside and everyone was just clamoring around him. He called me over and he put his arm around my shoulder and he said, “You’re going to come and live with me. Come to Bombay and you’ll live with me.” And that was the first time he’d ever said anything like that. And when he said it he put his arm around my shoulder and I just leaned against his chest. It felt…it felt like a continuation of something that I had forgotten…that just came right back. And that night I couldn’t sleep. I just sat on the balcony, and I knew that “Yes, of course! Yessss…” Then I began to relax into the meditations and into the camp. I think the next day one westerner came up to me when we were doing the free expression, which was in the afternoon. She said, “You know (voice full of warning), the Acharya has his eye on you.” (giggles) She told me to come and sit closer, so I sat closer, just a few feet from where he was sitting. This is another thing that happened to me-I just started crying, for no reason. You know when you just start crying and crying and you just can’t stop? Vivek: And you don’t even know why you’re crying! And you just sit there and keep crying and crying. And just tears pouring down and my nose pouring down (gesturing what it felt like to have a runny nose in Osho’s presence) and slobbering and drooling (laughter ringing through the kitchen). Also, at the same time it was very funny because there was a man sitting next to me, and he had a handkerchief on the floor-and I so wanted to get that handkerchief! I had one eye on this handkerchief. But I couldn’t move my body to get this handkerchief, I couldn’t move my hand. And I was looking at myself! I was like at a distance and I was looking at myself, and I wanted to get that handkerchief and I couldn’t, and I was just crying soooo much. Vivek: Never, never. It was all totally new to me. That camp was just explosion after explosion after explosion; every day something happened. I didn’t know what was happening but I just allowed it-everything felt so beautiful, I just let everything come in. And after that particular experience of just crying and crying, of just seeing my mind and seeing my body, after the meditation I just sat there. It was all hilly, all mountainous. and one girl came up to me and asked me what was happening and…it was…(at this point Vivek is speechless) it was totally beyond anything that I had read or felt. So that was how I started. Then I went back to Bombay and took sannyas. Vivek: No, not of being with Osho. A few days after I took sannyas he was giving lectures in English in his room, in his bedroom. There were so few people, maybe thirty people. We were all gathered in a room, and I suddenly had a… There were so many people and everyone was talking, talking, talking. I was just sitting on the bed. Something went click! (Vivek gestures with her hands, a thing that looks like a flip-over in her belly). It went shoop, shuushh, and I suddenly went in. And that was…whoosh (here we all laugh, I comment about the flip-flop that my own belly just did). I then had an experience of one past life; it wasn’t with Osho. I didn’t know anything about past lives. Vivek goes on: I didn’t know if I was crazy or hallucinating. But another part of my mind knew that what had happened was very real; it was something very authentic that had just happened. And I was completely spaced-out-I was not in that life, not in this life (she laughs, amused) and not anywhere. It was like I was on planet Pluto. And then it was time to go into the lecture and I was sitting by the door-and I felt it happening again. It went click, whuup! and I think I passed out and someone took me out. All I remember is being back in the other room again. And at the end of the lecture, Osho called to Laxmi’s desk on the intercom and so I went in. He asked what was the matter, what happened. Of course he knew, he just wanted me to say it. One of the first thing Osho said to me after sannyas was, “Do you remember me? Do you remember anything about me?” (We are all giggling hysterically at this point, with interjections of “Oh god!” and “I can’t bear it!”) And when he said that, again I went click. It goes like a click! It goes ‘click,’ like that. Literally everything gets turned inside-out. And the only thing that came out of my mouth was, “I remember that you’re someone I loved very much.” I didn’t remember then exactly who I was. The only thing that came was he is someone I loved very much. And for me to say that at that time! I was still pretty straight. The time it did come was…(asking aside to Astha, “When was it that we came to Poona? In ’73?”)…after Osho told me. He asked me again if I could remember. I just wasn’t clear. And that night as I was lying in bed, my death came back, when I died, and the house, and my father. My mother had left. She was something! She had gone off to Pakistan with another man, she fell in love with him. I’m not sure if she left while I was still there (again laughing at the absurdity) or if she left after I died. I think she left before I did. Then the feeling of my death came. Everyone was outside the house sitting on the veranda or in the garden. But Osho was in the room, and I was just with him. ..Anyway, I came back! (speaking through her tears) Just before I died, I made him promise that he would call me back, that wherever I was he would bring me back, and I made him promise that (smiling shyly) he…wouldn’t go with another woman, that he wouldn’t get married! This I don’t remember, this is what he told me. Vivek: I didn’t tempt him. I used to just plainly annoy him. And the temple is situated right on top of a cliff, and there is a river right down below. Vivek: In Gadarwara. Where Osho was born. This is the river that Osho often talks about in the lectures, where he used to go swimming. A few times I used to go swimming with him. But usually he just wanted to be by himself. I was a tomboy then, and Osho says that he used to have to get one friend of his-his name was Shyam-to guard the temple door, “So that Shashi doesn’t come in and disturb me anymore!” (Shashi was Vivek’s name then) And I used to bring him food-chapattis and dahl. Vivek: Well, when he said that at Mount Abu, he again said it many, many times. “You’re going to live with me.” And I just kept saying, “When, when, when?” (laughing at her frustration) And he would say, “The time is not right.” And then one day he said, “Now you come in.” I said, “Now?” He said, “Yes!” Just like that. And at first I didn’t believe him because I had been waiting for two years. Vivek: Yes. I didn’t start living there and start looking after him sort of permanently, you know, doing everything for him, until ’73. We moved to Poona in ’74, so it must have been in ’73 that I totally looked after him and moved in. Ohhh! Vivek: Yes, yes. To look after his body. In a way I can see it needs a lot of looking after. In another way it doesn’t need much looking after, you just have to float with it. I learned that it was much better than worrying myself sick about it which is what I used to do. I used to become so depressed when he became ill but now I have learned to accept what happens to his body and at the same time do the absolute best that I possibly can. It really helps his body if I don’t become unhappy about his illnesses. Sudha: He wasn’t helping you to take care of him? Vivek: No! When he was ill he wouldn’t say that he wasn’t feeling well, but now he does. Now he helps too. He says, well this is happening and that’s happening-“Perhaps if you give me this drug it will help.” Before he used to not even say that he was feeling ill! And the worst thing was when he was having attacks, asthma attacks. Obviously, when it had happened I could tell. But now he says when he feels it coming, and it’s beautiful-you just give him the drug. It doesn’t stop it but it relieves the worst part of it, the choking, and the part that stops him breathing. So now he’s beautiful-he says when he fells that something is coming up, and before he never even used to say when it was actually happening. I would just have to feel. Vivek: In the beginning, but not now. Now everything flows just beautifully. Before I was living with him-obviously, that’s why he was waiting-it was like I was…I was…I was a nasty girl! Yes, I really was. I don’t know if it was resistance, but I was going through things, obviously, like everybody else. In the beginning it was, I don’t know what-just the usual rough times. Now everything is amazing, non-serious and laughing and light. The most beautiful part-which even now, every day when I see it, it gets more beautiful and more beautiful-is to see Osho sleeping. When he goes to sleep in the afternoon I go after him, so when I come in he’s already sleeping. If I’m lucky his face is turned towards me, and…That to me is the whole epitome of being with him-to be with him when he’s sleeping. Sudha: I have felt that watching him in lecture-as though seeing a dead man, but he’s still moving, it’s still happening. That to me is the epitome of being with him, and being here-to lie down next to him and be able to feel…and see…. This happens to me in the afternoons, because at night it’s all dark, you can’t see. And as I lie there, he’s like a big bundle of fluff! I just feel very protective; I somehow want to protect him and tuck him in! (giggling) He sleeps totally covered, especially in the winter, except for the top of his head and his forehead, and his face is showing. Sometimes I do a meditation; not so much a meditation, but it happens. When I go off to sleep with Osho there, I also get a strong feeling of leaving the body. It’s somehow easy for me to have this feeling of floating off, away, and then going off to sleep in that space. But he just insisted! (really laughing, after all, she is the disciple and he is the Master) Imagine! I realized I had to do something about this. It was also a climactic thing of all the years before when he wasn’t telling me when he wasn’t feeling well. And, and…yes, I locked him in. And I told Laxmi, “Laxmi, Osho is not coming out.” I don’t know if she knew that I locked him in or not, but a few days later everybody knew about it. Everybody was asking, “Did you really lock him in?” Perhaps I told Laxmi afterwards that I locked him in, I can’t remember. I just knew that I had to put my foot down at some time, and that just happened to be the time. After that he really started to cooperate, and really, since then his health has been much, much better. It took a turn, it really took a turn. It changed so much that now… (aside to Astha: Could you put the water for the tea on?) What was I saying? Oh yes-now he tells me if he’s not feeling too good and to cancel the lecture. Also the same for darshan-two or three times I have suggested, but other times he himself says, “Perhaps I won’t go to lecture.” Which is wonderful, beautiful. I can take better care of him. And it just seems a much better way. Sudha: (At this point I am looking at Vivek in wonder—no trips, no problems, no ‘work.’)…So you don’t worry about enlightenment or anything like that? Thank you so much. I had resd this interview maybe 20 years ago and never forgot it. Because of this interview I somehow knew that when Vivek left the body, Osho would leave shortly after…. Me ha gustado, la entrevista y sobre todo como Vivek recordó su vida pasada. muy emocionante. Gracias.